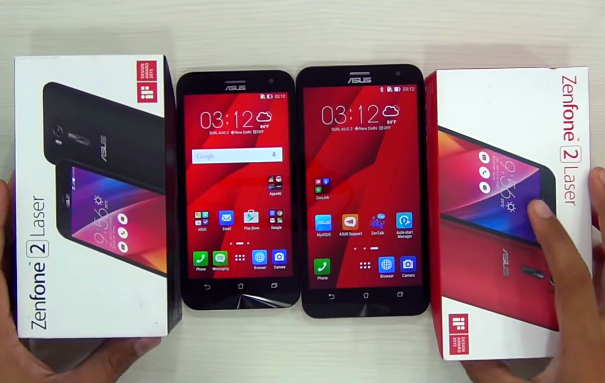 At ZenFestival Manila held yesterday in Makati City, Asus Philippines officially announced three new Android handset models under its very popular ZenFone series; One of which is the Asus ZenFone 2 Laser. Sidenote: I was supposed to be at the event but I got stuck in traffic for more than three hours going from our house in Manila to Green Sun AXON in Chino Roces. It was terrible. And I still feel bad that I missed the chance to interview Mr. Jerry Shen who's one of the coolest tech CEO's ever. Hopefully, I'd finally get the chance to meet him in the next Asus event. Anyway, our country will be getting two variants of this particular release: First is ZE550KL which has a 5.5-inch HD IPS display. 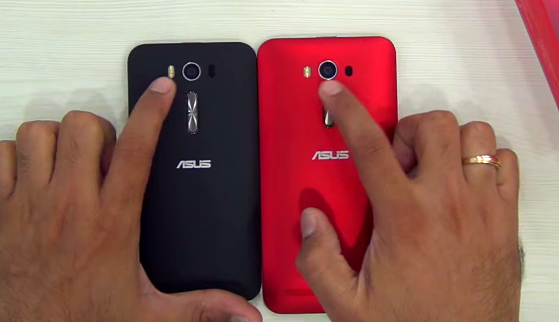 And second, we have ZE500KL sporting a 5-inch HD IPS panel. 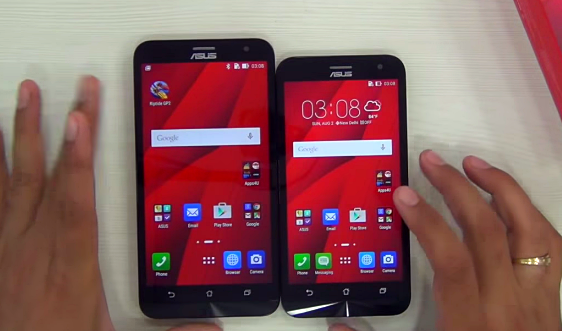 Both versions flaunt the exact same design identity - inspired by the 'arc' form factor of the original ZenFone 2 albeit lacking its 'brushed metal' back plate finish - with differences in heft and dimensions dictated by their screen size. 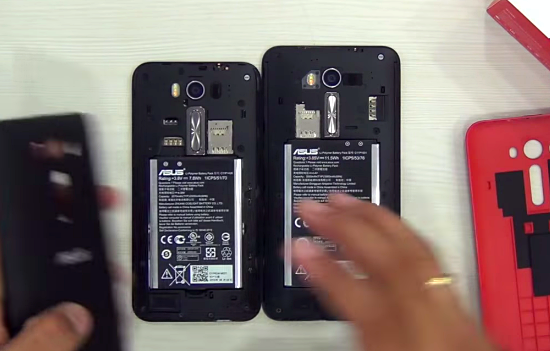 The two phones also share the same internal hardware -- headlined by the Quad Core 1.2 GHz ARM Cortex-A53 and Adreno 306 GPU based Qualcomm MSM8916 Snapdragon 410 chipset, 2GB of RAM for multitasking, and 16GB of expandable internal storage. Having a larger screen, ZE550KL also comes with a bigger 3,000 mAh battery pack while ZE500KL only has a smaller - albeit also removable - 2,070 mAh pack. Now, let's talk about the department where the Laser is supposed to excel: Imaging. These two models have almost similar camera features including the f/2.0 wide-aperture, zero shutter lag, and - of course - laser auto-focus technology that lets you capture crisp and clear images in just 0.3 seconds. Likewise, both have Manual shooting mode allowing the user to tweak or fine tune ISO, shutter speed, focus, and exposure settings to his liking or depending on the shot's requirement. ZE550KL's 13 MegaPixel main shooter and ZE500KL's 8MP main cam also benefit from Asus' PixelMaster Low Light mode that uses what the company calls 'pixel-merging technology' to capture up to 400% brighter shots even at night or in low-light settings, without the need for a flash! But if you prefer to use flash, ZenFone 2 Laser comes equipped with Dual LED Real Tone flash ensuring warm skin-tone and more accurate color replication. ZenFone 2 Laser ZE550KL and ZE500KL's PixelMaster cameras also have Super HDR backlight mode and Pixel-enhancing technology to capture brilliant, vivid, and evenly-exposed photos even with challenging backlit scenes such as sunset portraits or if there's bright light source behind the subject. 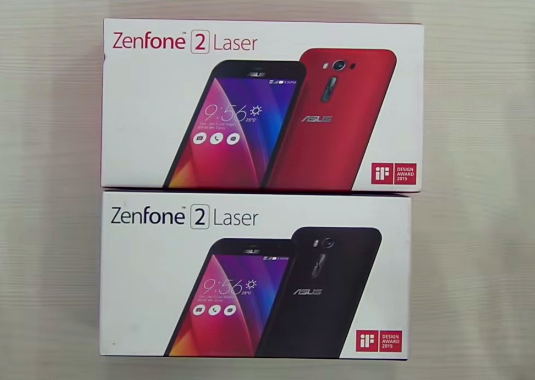 In a nutshell: Asus ZenFone 2 Laser ZE550KL has a bigger display, larger battery, and higher resolution main camera but it is also more expensive by exactly Php 1,000 compared to ZE500KL. If you ask me which one you should get, I'd tell you that it all boils down to whether you prefer having a lighter, more pocket-friendly smartphone that's ideal for one-handed use or a large phablet that's great for thumb-typing and media consumption. I personally prefer the latter so I would suggest that you spend that additional thousand bucks and go for ZE550KL. But hey, that's just me. Let me know your thoughts about these two in the comments section below.